Nature is eternal, timeless, evergreen and undying!! This is what lies as the inspiration behind the name PERENNE. A Spanish word, which means EVERGREEN. Every creature in this world revolves around nature for its survival. Nothing in this world can exist without nature. In fact, even our beauty gets its basic dose of nourishment from nature only. At a time when things like air pollution, drastic atmospheric changes are becoming one of the major reasons of various skin diseases, we are in a great need of a strong shield to protect our skin from the hazards around us, and what else could be more promising than nature, as artificial cosmetics can never feed our beauty requirements. 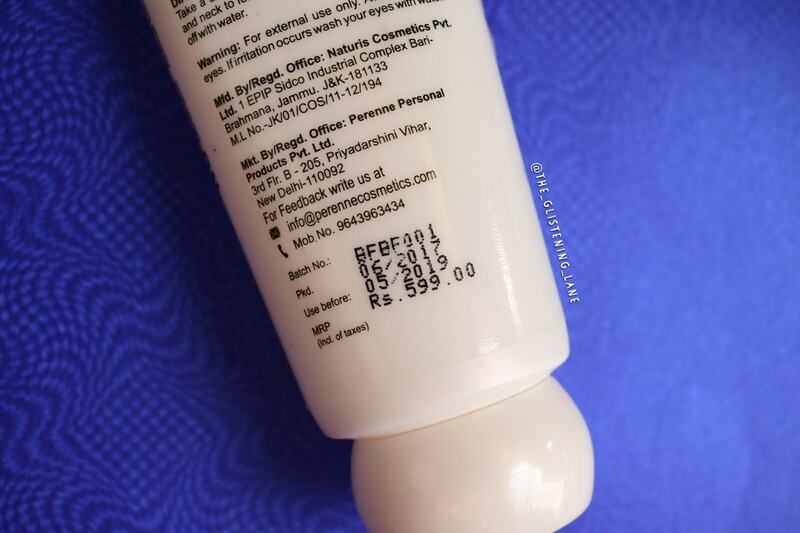 According to an article on harmful cosmetics published in Times of India, the cosmetic moisturizers available in the market consist harmful synthetic chemicals and carry high amount concentrations of detergents or detergent-like chemicals that harms and degrades the natural protective function of the skin. 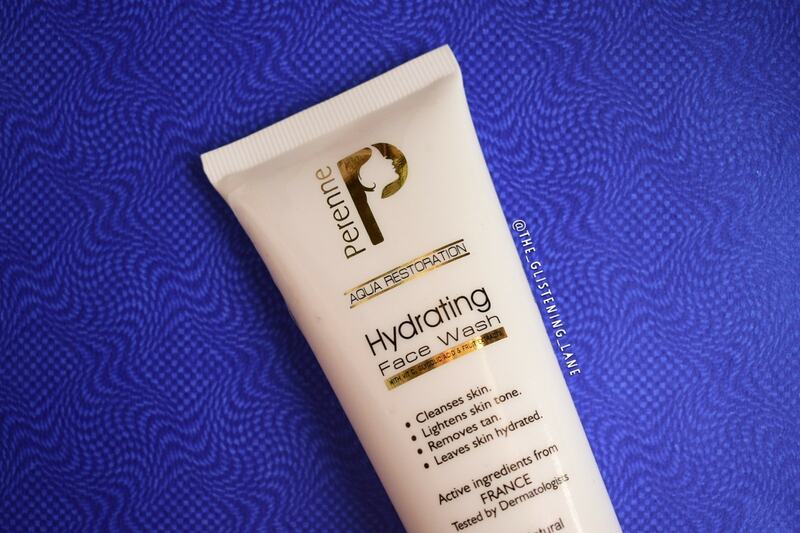 Perenne Hydrating face wash is a foaming product that cleanses the skin and removes dirt, pollution and excess oil leaving the skin moisturized. Kiwi extract and Grapefruit extract ensures that there is no feeling of dryness even after wash. Vitamin C lightens up the skin tone whereas Glycolic acid removes tanning and makes the skin tone even. Wash your face with normal water. Take a small amount of product and apply it on face and neck to form foam. Massage for 1 minute, then rinse off with water. Perenne Aqua Restoration Hydrating Face Wash comes in a white opaque squeeze out tube. 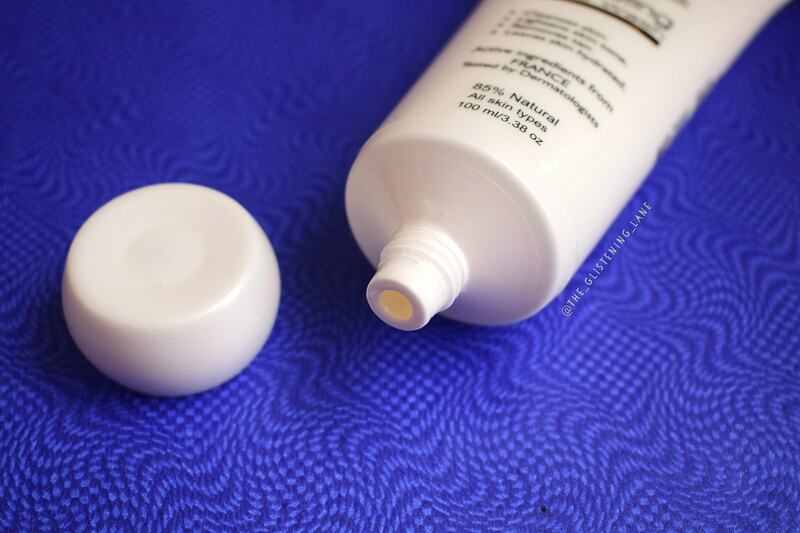 The nozzle of this cleanser tube is slightly small which makes it easier for dispensing the right amount of the cleanser. Although, a transparent tube would have been preferable, in order to make out the amount of content that’s left inside. The lid of the tube is round and sits perfectly as a base for keeping the tube on to the bathroom racks. Also, I observed that the packaging has a rose-gold sheen to it which is visible when the light falls on the tube. It is definitely a compact and travel friendly packaging. 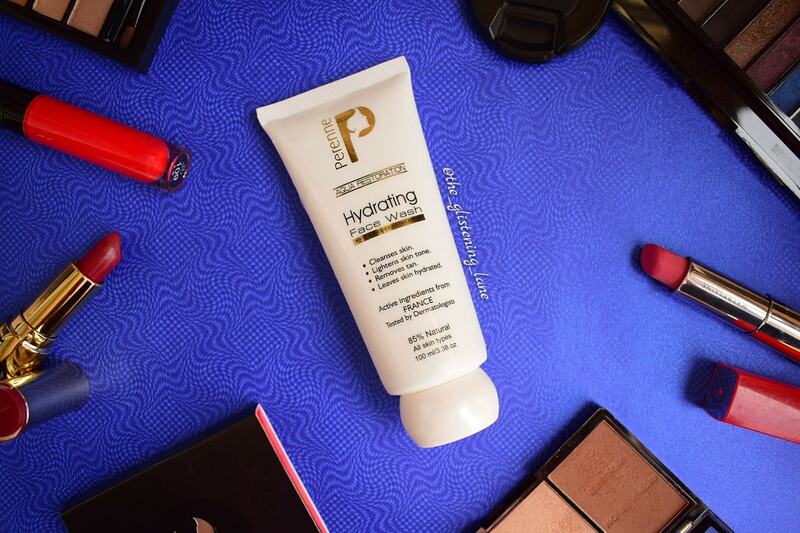 Perenne Aqua Restoration Hydrating Face Wash has a gel like consistency. The cleanser has no colour but a subtle hint of white which gives it translucent effect. 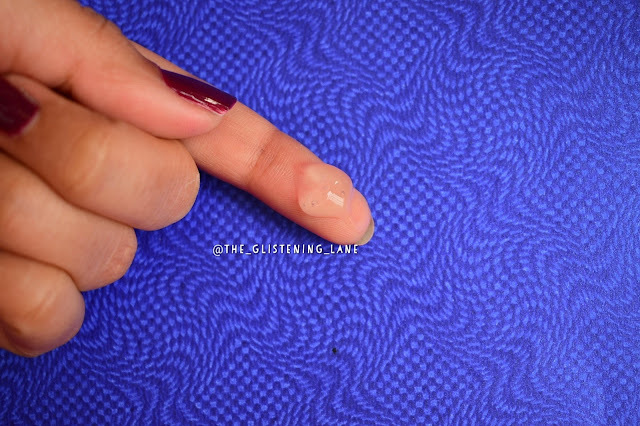 For applying, you need a really small quantity. I take a roughly about, little more than what we’d call as pea size. I massage the cleanser in circulation motion with gentle strokes for around 30 seconds to a minute. 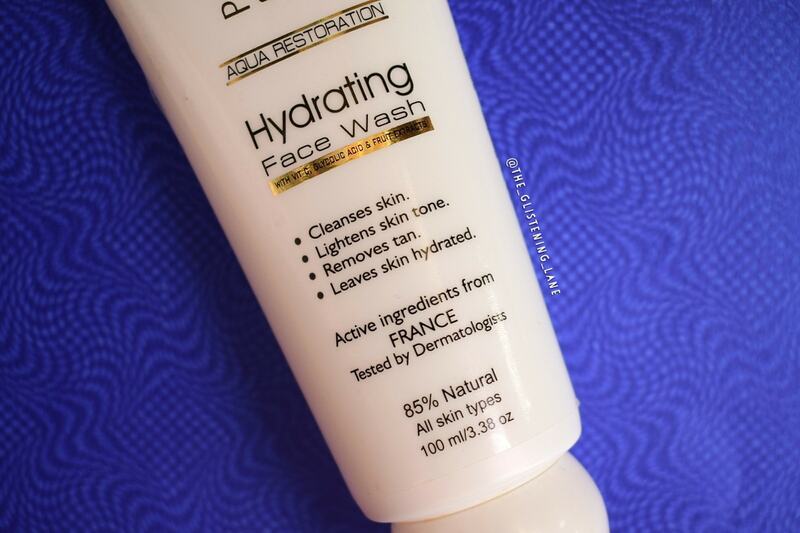 As compared to the other foaming cleanser, this face wash creates very little foam. 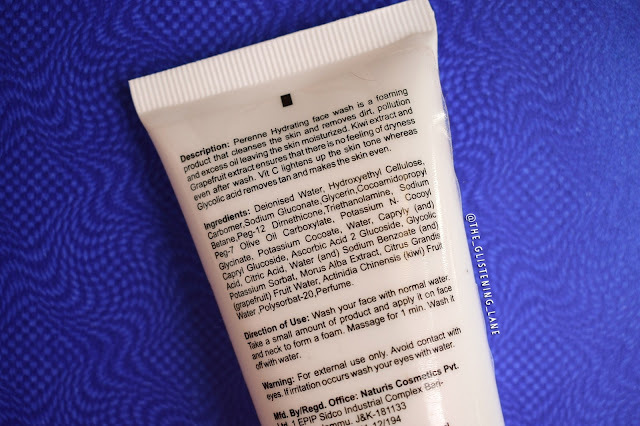 When I looked at the ingredient list, I was glad that the cleanser is endowed with Glycolic Acid. This is the same reason that whenever my skin goes turbulent; I resort back to cleansers containing Glycolic Acid. ❤It is gentle enough to be used on sensitive or acne prone skin. ❤Glycolic acid helps in exfoliation of the skin, without irritating it. ❤Moreover, it enhances the complexion and gets rid of dull skin. ❤Treats scars and helps in fading them. After an experience of few weeks, I did not notice that it ever made my skin dry or stretchy (even though winters are at its peak in Delhi). The cleanser makes my skin smooth, soft and glowing. I faced no skin irritation or breakouts for that matter. It has been included in one of my personal favourite cleansers so far! I like to use it twice a day and it removes off majority of the makeup, except for waterproof eye makeup. In case I’ve applied waterproof eyeliner and mascara, then a two-cleansing procedure is undertaken. I first wipe off the waterproof makeup using Garnier Micellar Oil Infused Cleansing Water and then cleanse my skin with Perenne Aqua Restoration Hydrating face wash. If you’re okay with the price point then I’d say “go ahead, try this one out for sure”! !